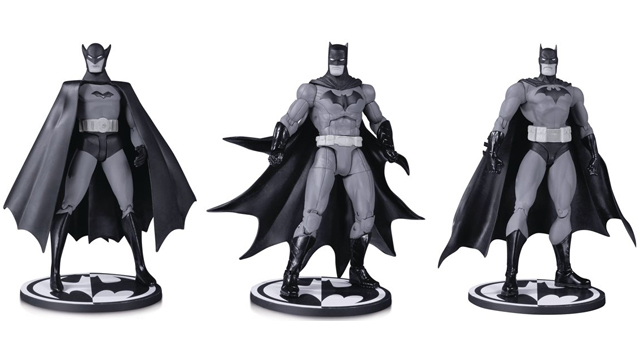 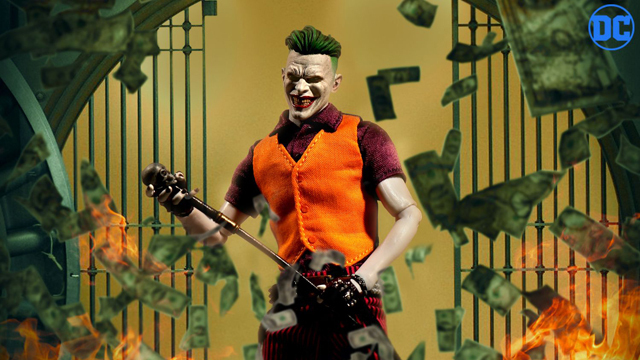 The Clown Prince of Crime has never looked better than he does here! 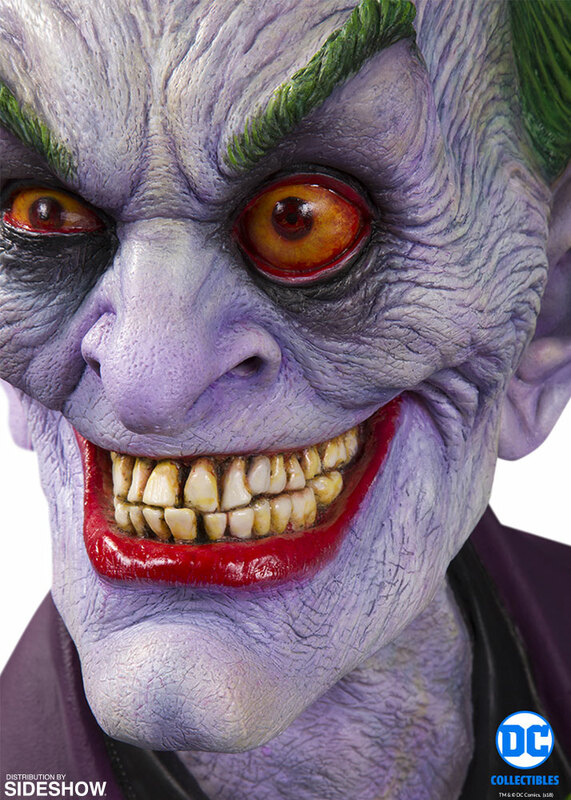 This amazing 1:1 scale bust was the product of a collaboration between DC Collectibles & movie makeup artist, Rick Baker. 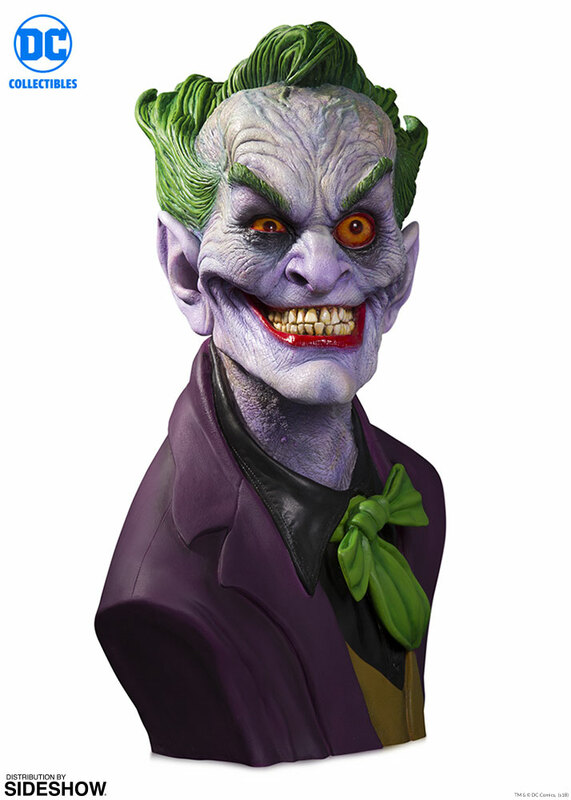 This showcase piece is currently available on Sideshow Collectibles for pre-order. 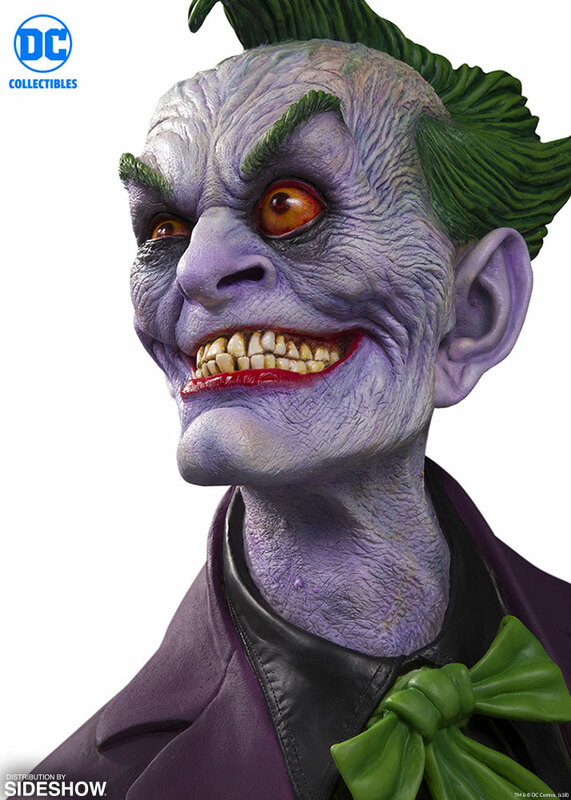 It will ship in October-December 2018. 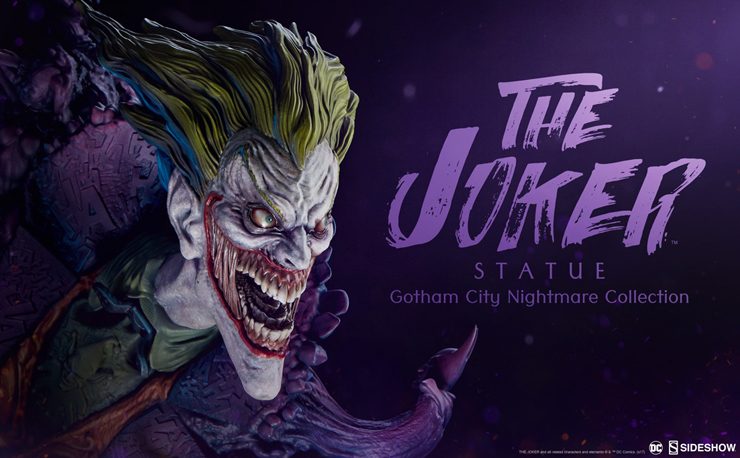 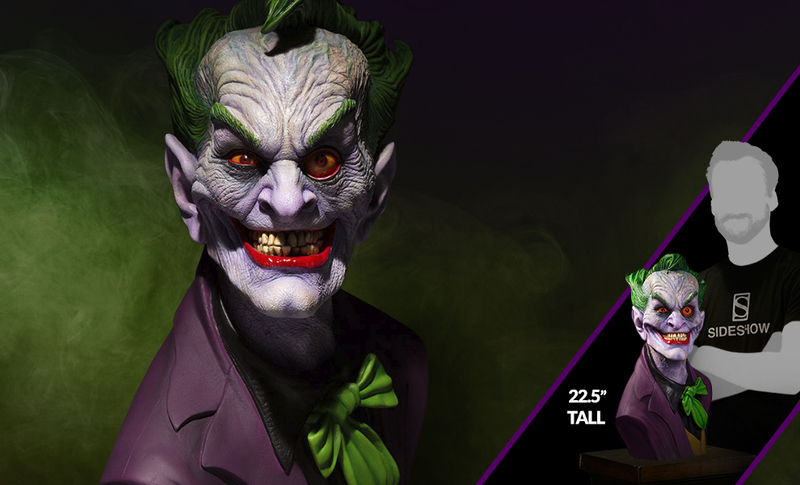 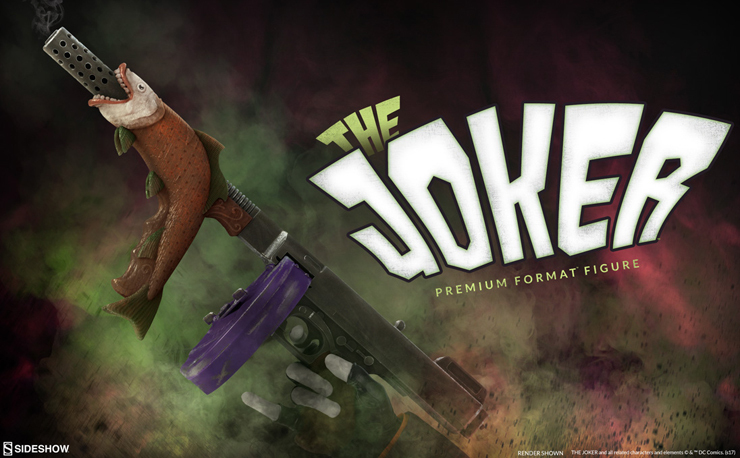 The ultimate edition Joker piece is ready to wreak havoc in this extremely limited release 1:1 bust. 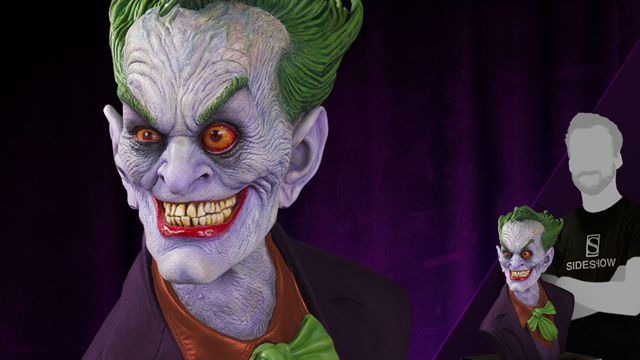 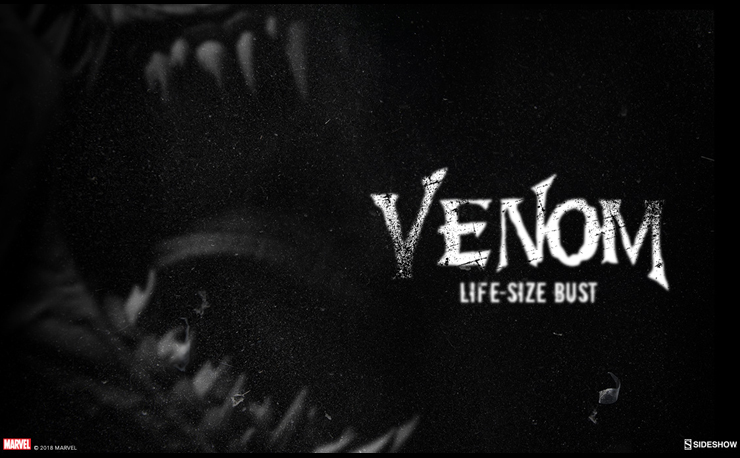 Limited Edition of 50 numbered pieces pulled straight from Rick Baker’s own molds. 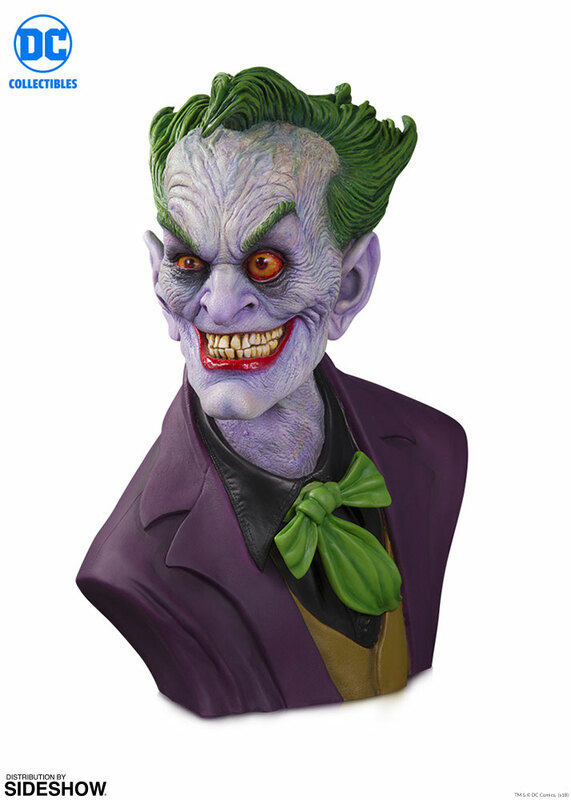 The bust will also feature original deco as painted by Rick Baker. 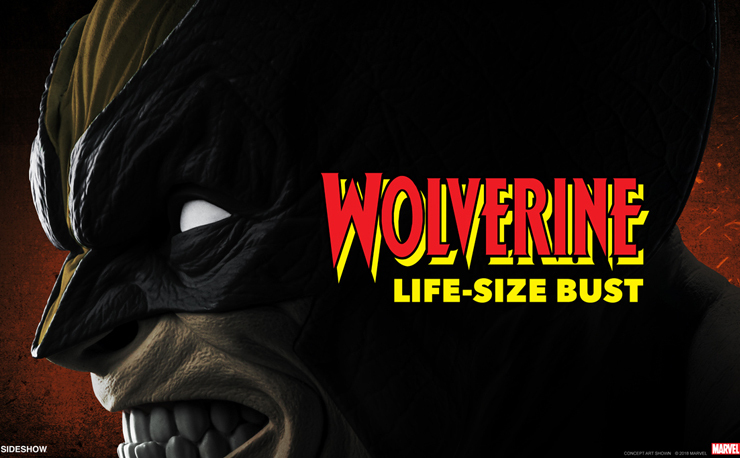 Includes Certificate of Authenticity signed by RICK BAKER!